For those trying to earn their last minute AIA credit hours, DORMA’s Design Center is hosting two full days of accredited learning on December 9 and 10, 2014. Speakers will include industry professionals from Conspectus, Gensler, JE Berkowitz, Pilkington, HLW Architects, Lumivisions, and DORMA. You won’t want to miss it! For more information, email designctr@dorma-usa.com or call 917-880-6533. 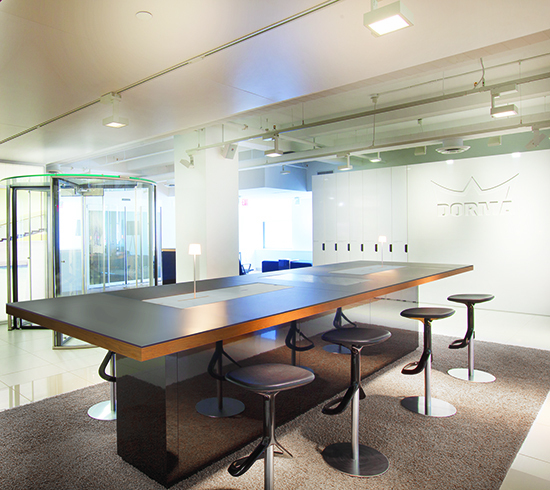 Located centrally in New York City, The DORMA Design Center provides accredited continuing education programs, instructional sessions, product and service introductions, consultations, and additional events serving the design community.